Built in the 12th century, the 65m-tall (213 feet) Minaret of Jam is the only well-preserved monument from the Ghorid period. It is covered in elaborate brickwork with a blue tile inscription at the top. The name and titles of the ruler are picked out in blue tile, whereas the rest of the decoration including the Koranic text is in cut brick. 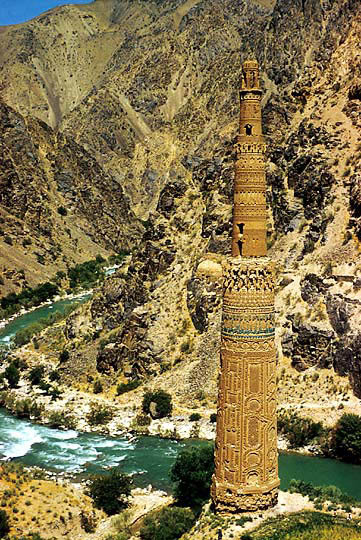 The minaret raises on a deep river valley between towering mountains in the heart of the Ghur province.